Epistolary novels were tremendously popular in the 18th century, and now we’re seeing an emergence of the e-pistolary–a novel told exclusively though e-mails. 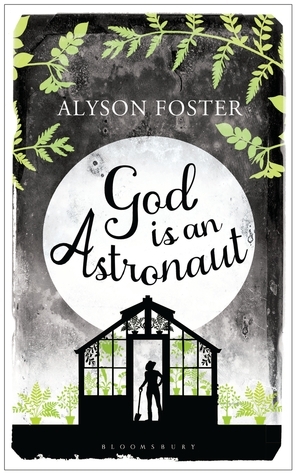 In the case of Alyson Foster’s novel, God is an Astronaut, the e-mails are one-sided; they’re written over the course of a few months from married Botany professor, Jessica Frobisher to her “favorite colleague” and fellow professor Arthur Danielson, who is on sabbatical in the “wilds north of Winnipeg.” Jessica pours her private thoughts into the e-mails to Arthur while she shares a lot less with her emotionally distant husband, Liam, the senior engineer for Spaceco, a shuttle company with a long waiting list of commercial passengers who want to travel into space. she finally settled on the least objectionable outfit she could find, that green silk suit I wear once a year when I’m presenting at a conference, the one you said makes me look like a woman playing a politician in a mini-series. “They understood. Some of them sooner than others.” Lacroix flicked a piece of dirt from the sleeve of his sweater. “They were smart women,” he said. “And beautiful.” He sighed with a touch of what I assumed was nostalgia. I shut the laptop. I left the bathrobe in a puddle on the kitchen tile. Still half naked, I walked through the living room and up to the bedroom. At other times, Jess is describing a dramatic event, and divides it into several long e-mails, and again, this felt a little false. I read some reviews in which people expressed frustration that the e-mails were just one-sided. Actually I liked that aspect of the novel because I had to read between the lines, and also pay close attention to the subject header topic which was the best way to gauge Arthur’s response. Plus on a deeper level, just what is Arthur to Jess? A colleague or something more? Over time, of course, we learn the truth which was easy to guess almost from the first e-mail, but even when the truth is finally revealed, it’s clear that Arthur served many purposes for Jess, and here he is as a sounding board as Jess rides out the greatest crisis of her life. I particularly liked the way in which Jess is shown avoiding dealing with reality through the distraction of her greenhouse, and at one point she even describes the space beyond the dining room designated for the new greenhouse as “an escape hatch.” Liam disapproves of the project, mumbling about their “sasquatch-size carbon footprint,” which is hypocritical given what he does for a living, and there’s the sense that he disapproves of a great deal to do with Jess. Perhaps she finally begins construction of her greenhouse, not only as a meaningful distraction, but as a type of defiance. After all, she buys many exotic, delicate plants with the plan that they will defy the Michigan winter in this superb construction and, as Lecroix, points out, with her “ruthless gardening.” God is an Astronaut, a light read, is well-written and engaging. Author Alyson Foster captures that period of disintegration in a marriage when both partners are aware that the relationship is pathological, but neither chooses to acknowledge the problems. Yet.